Did you ever accompany someone who was admitted with haste to a hospital, with indistinct symptoms? I did. What I saw was nurses and doctors from various disciplines arriving at the bed, and disappearing again. Although they all were very kind, we wondered why they were asking the same questions, over and over again: what happened, were you unconscious, etcetera. Similar experiences convinced Doctor John Toussaint, practicing internal medicine for seventeen years within ThedaCare, that it was possible to reform healthcare, with the aim to reduce costs and to provide better care. When Toussaint became CEO of ThedaCare, he got the chance to execute this plan. ThedaCare in Wisconsin is a mid-sized, not for profit healthcare provider with hospitals, clinics and nursing homes. ThedaCare has 20.000 hospital admissions each year. 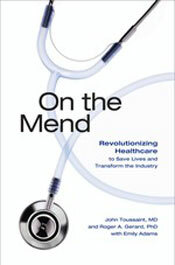 Toussaint describes its lean journey (2002-2009) in the book On the mend – revolutionizing healthcare to save lives and transform the industry. In 2008, he stepped down as CEO, and founded the ThedaCare Center for Healthcare Value (TCCHV). This is an education/consultancy/network-organization, which aims to spread knowledge of lean health care. Recently, TCCHV launched two ‘health care value leader networks’ in the US, in cooperation with the Lean Enterprise Institute (LEI). The above-mentioned book On the Mend has two authors, the one not mentioned yet is Dr Roger Gerard. As ThedaCare’s chief learning officer, a position he still holds today, he was involved in many change management trajectories. On the Mend resembles the novel The Lean manager of Michael and Freddy Ballé, because that book is also about a lean transformation, be it of an automotive supplier. On the mend is much shorter and is therefore more an introduction to lean healthcare than a book suited for Lean specialists who want to deepen their knowledge. What pleads for it: this is a story about a real hospital, not a fictitious organization. On the Mend describes how ThedaCare doubled its revenue, and how this organization became the lowest-price health care provider in Wisconsin. One typical example: the mortality rate for coronary bypass surgery dropped from 4% a year (12 deaths) to almost zero (one death in 2009). In addition, the time that the patients stayed in hospital fell from 6,3 to 4,9 days. These kind of results are attributed to the application of the principles of the Toyota Production System (TPS). The Toyota Production System (TPS) seeks to reduce waste and costs, while improving the outcomes at the same time. TPS is often equated with Lean manufacturing, but this is not entirely correct. It is system which was developed by trail-and-error within Toyota, so it should be regarded as a solution tailored to the needs of this car manufacturer. Included in the TPS are principles of different improvement methods, not only Lean manufacturing but among others also Total Productive Maintenance. Toussaint knew, based upon personal experiences, that he needed a structured improvement approach. In 1987, he had tried to reduce the number of life-threatening situations in the Intensive Care Unit, with patients receiving solutions with vitamins and highly concentrated glucose. His idea: a standard protocol for the recipes would prevent patients getting to high blood sugar levels. Although the doctors didn’t like that idea - they said it was cookbook medicine – Toussaint convinced them to use the protocol. Soon after that, the number of high blood sugar level incidents in the ICU dropped to virtually zero. Unfortunately, this improvement didn’t last very long: soon the doctors forgot about the protocol! So, Toussaint knew that he needed an improvement program like the Toyota Production System, which prevents relapsing into old habits. In the beginning of this century, a team of nurses, doctors and managers from ThedaCare studied the TPS at Ariens, a manufacturer of snow blowers. Their surprising experience: These blowers were sometimes better threated then patients! The staff of ThedaCare participates in event weeks, to engage them in process improvement. Here, a metrics board is prepared for real-time trials. Next it was decided to implement the TPS – of course adjusted to the needs of a healthcare environment - within ThedaCare. The most important changes and principles which are the result are summarized below. The list is based on (1) a webinar given by John Toussaint and Roger Gerard on September 6th 2010, mediated by LEI, (2) the book On the Mend, and (3) several interviews with Toussaint I read. Identify value streams when treating patients, and redesign those treatments by deviding them into ‘product families’. Next, focus on minimizing time and reducing waste. Standardize to sustain the improvements. This means science comes before art, or, in other words, evidence-based medicine. An already mentioned example is the protocol for the recipes of the glucose solutions. However, within ThedaCare not only the work of doctors and nurses is standardized, but also – and that is something special - the work of the managers!. The way they go to their Gemba (working place, in this case the ward) and investigate problems there, is more or less laid down in a protocol. Make results measurable, but dismantle at the same time the shame and blame culture. Introduce visual management so that problems can be identified quickly. Focus should be on the quality delivered (how much value is added for patients) and not on quantity (number of interventions), as many insurance companies do today. Do not simply improve everything, but introduce focused improvement by applying Hoshin Kanri and A3 Management. Introducing Lean means transforming processes ánd people. The last part is often the hardest, therefore a well-known Lean-slogan is make people before products. Because of the importance of the human factor, it is interesting that John Toussaint and Roger Gerard concentrated on this aspect during the webinar I already mentioned. ‘The prevailing health management system is based on an autocratic mindset’, says Toussaint. ‘It does not engage front line staff in identifying waste and improving processes. White coat leadership - all knowing, controlling, autocratic, impatient and blaming - should therefore be replaced by improvement leadership: knowledgeable, being patient, facilitating, guiding and helping. Are my staff, the doctors en nurses, treated with dignity and respect by everyone in our organization? Do they receive training and encouragement to do work that gives their life meaning? Have I recognized them for what they do? When ThedaCare started to fulfill the needs of the patients and their staff during their improvement efforts, employee satisfaction rose from 4,5 in 2006 to 5,0 in 2009 on a 6 points scale. Every Lean manager knows that standardizing work is crucial for continuous improvement. Whenever a better process is identified this becomes the new standard, and then a new improvement cycle can start. Toussaint however adds something new to this: standardized work in some degree for everyone, including management! ‘This is critical and must be in place for improvement to occur’, he says. Are they not overdoing it within ThedaCare, regarding standardization?, I ask myself. I mean, is it for example possible to have a protocol for Going to the Gemba? It is an intriguing question. 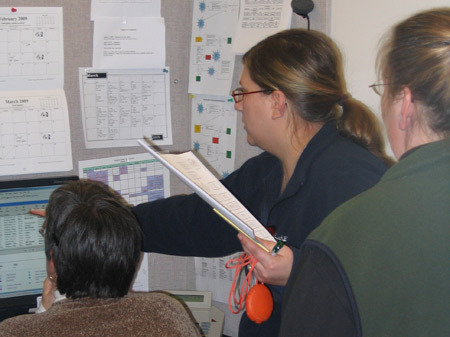 For Lean management it is necessary that managers visit their working place or Gemba very often, to check for abnormalities by picking up visual management signals, and to investigate if the people have difficulties doing their work. Workers are therefore encouraged to report problems, for example by placing notes on a wall. Next, managers should help to find solutions, by mapping the problems and possible solutions visually on a large piece of paper and checking what the reaction is on the Gemba. This process is called A3 Management. Such a method could be standardized, and I agree that it should. However, in the book On the Mend there are even takt times coupled to visiting the Gemba. In my opinion, this pushes the idea of standardization too far. It seems an impossible job, to find for example the root cause of a problem in a standard amount of time. Even only mapping problems cannot be done within a certain time frame I think, since a lot of communication is needed for that, which is intrinsically a chaotic process. 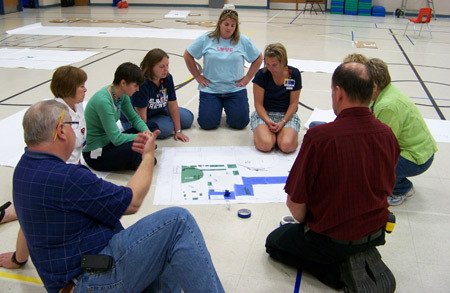 An event week group studies the layout of a work unit, and plans to move things around to facilitate a more effective, waste-free process. 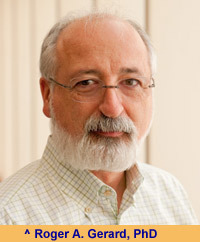 The webinar continuous with a lecture by Roger Gerard, ThedaCare’s chief learning officer. ‘Lean can only be learnt by taking risks, and therefore by making many mistakes, one at a time’, he says. ‘So, training does not come first, but doing. Lean is dirty hands learning’. What Gerard describes here reminds me of the book The Birth of Lean. That book is a bundle of interviews with the people who developed the Toyota Production System, like Taiichi Ohno. What you can learn from them, is that TPS was developed by trail-and-error. Reality Testing. In this phase people are enthusiastic, but that is only pseudo-commitment as ThedaCare learnt the hard way! Resistance: People ask you to slowdown, they often say this is not what they expected, or that the old way of doing things is better. Dialogue phase / Seeking for a Compromise. Integration: lock in and standardize. According to Gerard, the percentage of employees that understands how their daily work at ThedaCare contributes to the mission rose from 77.9% in 2008 to 80,8% in 2010. This makes me wonder how that is measured, and second: what do the rest of people (20%) think they are doing? Gerard pursues to some of my comments in the box below. Go to the Gemba to learn! Intriguingly, although the number of people who understand how they contribute to ThedaCare’s mission increased, the percentage who thinks that their ideas are valued fell by 3,4% in the same period. The current percentage is 46,0%. ‘We think this unexpected result is because their expectations did increase in a lean environment’, says Gerard. To develop Lean leaders, ThedaCare evolved an ambitious human development value stream, with the goal of being an employer of choice and to create leaders with all the capabilities to drive continuous improvement.